Most people think of RVing as a great way to get out into nature with all the conveniences of home, and IT IS. But it’s so much more than that. Here are just some of the things to do while RVing in America. Have you ever wanted to climb up a bridge, relax and soak up the view? While visiting Olympic National Park in Washington State I was able to head up a secret passage and climb up this bridge above the Elwha River. Ok, I’m not exactly sure what an enchanted forest would be but this one felt like it fits the description. It felt like I was in another world. You don’t always have to hike up to the top of a peak to get great views in this beautiful country. But often when you do, you get to experience them all to yourself. This was at the peak of the Mt Storm King Trail in Olympic National Park. Did you know that many National Parks have AMAZING lodges, strategically places in paradise? This was the Lake Crescent Lodge in Olympic National Park. We’ve encountered walking, biking and driving bridges that are not only unique, but have you scratching your head on how they were built/put there. There are a lot of beaches in Olympic National Park that are breath-taking, so it’s difficult to choose which one to explore. You might as well just visit them all. When we finished our 6 month surfing trip up the west coast in our 5th wheel, we ended it at a beautiful beach and watched the sun set behind Canada. There’s a lot of random things that we’ve been able to stumble upon like the gum wall in Seattle. The Pike Place Fish Market in Seattle is world famous for their attitudes and throwing fish at customers. Go window shopping at an RV Dealership to get inspired with the latest and greatest. Whale Watching in the Redwoods. We stayed at the Klamath Camper Corral and the Grey whales come right up to shore in the spring and fall to avoid the Killer Whales further out at sea. There’s also a lot of other outfitters along both coasts that will get you in front of these large marine beasts. Pull up a spot on a beach you’ve never been to and have a cold one on a hot day. Enjoy watching big tankers cruise by while you’re enjoying some wine. We love visiting them and bringing back cheese for our RV Fridge. Wind Surf at the Beach. Cannon Beach is an iconic beach with sea stacks that draw RVers to the beach. I was enjoying this beautiful ocean vista when the local fire department came and started belaying down this ridge. Would you try this? This candy store even had RV Parking! While in Depoe Bay, Oregon we got crafty at the festival and built a boat. We enjoyed this massive Dungenous Crab festival and ate more seafood than we thought we could fit in our bodies. The most photographed Lighthouse in America is the Heceda Head. Have you ever wanted to have a sunset surfing session all to yourself? An RV can take you to a secluded beach where you can soak in all it has to offer, all by yourself. We found it popular in a few different areas but the central Oregon Coast had a huge amount of people who went crabbing from the Campground. If you see a road that says “Scenic Byway”, TAKE IT! What a spot to stop and enjoy a snack on directly off the Columbia River Scenic Byway. They’re great for climbing, but if you just want to relax and enjoy the view like at this winery, that’s cool too. It’s an iconic road trip to head up or down the famous 101 highway on the west coast. There’s so many wonders of this world in America like Thor’s Well. One of the most peaceful activities in this world. Have you ever had miles of beautiful beach for sunset to just ride from the campground? Walk out from your camper and go surfing like this time at the Whaler’s Rest RV Resort by Thousand Trails. You gotta stay in shape somehow. Many RV Parks have activities to keep people active like at the Newport Dunes RV Resort. This is a special bucket list activity. Danielle wanted the full Central California Wine experience so she got it! If the waves aren’t popping off where you’re at, go find them! When you’re cruising with your house, you can pull over and enjoy whatever adventure you crave. This time we were driving and I happened to notice the waves were exceptional. Since I had all my gear in the 5th wheel we pulled over, got on my wetsuit and hit the waves! Mountain biking through these giants and down a mountain to the ocean is an experience you’ll never forget. Waking up to Elk grazing outside of the RV is always a nice highlight. Fern Canyon is a hike that’s filled with stream crossings as you head through the lush canyon. There are some spots in Northern California where the elk come out of the forest and hang out on secluded beaches. It’s not uncommon to find yourself alone with a herd of Elk while watching the waves crash onto shore. Seriously, just stare up until your neck hurts. Than lay down on your back and stare some more. This was a WW2 farm house that was designed to look like an active farm but in secret was a watch-out post for the Government to look for an invasion from Japan. This is a secluded and wonderful drive that takes you through a lot of old growth Redwood Groves you can explore. Our dually didn’t fit so we walked across the street from the campground and walked through the Redwood Tree. If you can’t catch the big one off the deck, grill up some wieners. So many world class beaches, in one day! Although California has very strict gun laws, you can always see some big guns here! Enjoy getting tossed around like a rag doll in one of the beautiful barrels of the California Coast like this one in Laguna Beach. Romance isn’t dead when you’re in an RV. Pop back to the places that make you smile. In Laguna Beach, every once in awhile the local marine sanctuary releases California Sea Lions back into the wild after fixing them up. We were lucky enough to be hitting the waves this day. A close up view of the water doesn’t get much better than sitting out on a jetty as the waves are crashing around you. Ok, we’re not talking about you training for the Olympics, but visiting an Olympic Training Facility like this one in Chula Vista, CA. Hike to the border in the right areas and you’ll get approached very quickly. The Otay Mountain Truck Trail takes you on a wild adventure above San Diego and gives you a great view of Mexico. Watching the sun come up and warm up the landscape while you pedal is always a good time. We spent time hanging out with fellow Bloggers Our One Chance while in So-Cal. San Diego has the best temperature of any other city, why wouldn’t you visit? Looking for a unique show to keep you entertained? Find some street performers. Saguaro National Park in Tuscon has the rare and incredible Saguaro Cactus. Yep, it’s similar to snow sledding but without the cold. The Anza Borrego Desert has an oasis a short hike from the State Park Campground. Walk along the Imperial Beach to the southern most tip of the west coast and stare across the water to Tijuana. You won’t find a better place in America to get a more authentic Mexican Burrito. These ancient ruins have been kept a secret for a long time. It’s a fantastic hike from the campground to the Jamul Kiln Ruins. Boondockers are welcome at many of the raceways across the country. Many even have hookups. Paddling through the water when it’s like glass and the fish are jumping is a special thing. Minneapolis hosts a historic waterfront park on the Mississippi where it once was the world’s largest flour mill. Walk the incredible Stone Arch Bridge in Minneapolis that meets up with a variety of hiking and biking trails throughout the city. We LOVE enjoying the northern lights out in the middle of nowhere. Enjoy beautiful fall foliage right outside of your front door. There are some events, like this kids horse riding competition; that are easier to attend by bringing your RV. The Blue Hole in Santa Cruz, NM is a huge crystal clear water hole that you can bring your RV and go swimming, snorkeling, diving or even Cliff Jumping! Ok, you’re right, there’s only one Bob Ross. But there’s a lot of events for RVers to come together and enjoy new activities. Many Campgrounds offer canoes to use for free to their campers. It’s a great way to get out and calmly enjoy the water. These campers decided they would take a trolling motor ride down the river from the campground. Probably our favorite feature of our RV. She picks sea shells on Sanibel Island, the #1 sea shell beach in the world. This is a cool fat tire bike riding along Siesta Key Beach. Wade out into the water and reel in some supper. There are many restaurants in Siesta Key, FL that offer live music while you relax and eat your food. 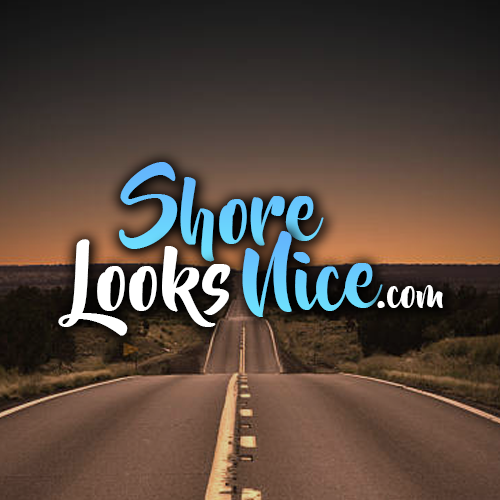 When you’re RVing to popular boating areas, check out what rides are available to scope out exciting places like this island where we got to pick sea shells from. Dogs love scoping out the campground. They love it even more when they can sit back and enjoy the tour via bike. Enjoy the more luxurious side of things by Glamorous Camping at the RV Resort. They’re great for bringing with on RV Trips and also many RV Parks offer kayaks for use of their campers. Isn’t it great to see Bailey bonding with this massive turtle that kept hanging out at our campsite? This is ruins of Hurricane Katrina. We stayed in Waveland, MS which was ground zero. Still you’ll find boats in trees and communities in ruin. Head to a local dinner theater. Does it get any better than this for a Boondocking Spot? The Peace River RV Resort in Florida offers incredible fossil hunting right at the campground. Every American should experience this once. As they swim around your boat. There are places in Florida where you can rent a boat and hop from island to island at your leisure. If you’re RVing near a great waterpark, check it out. Attend a professional or semi-pro baseball game in the city you’re visiting. Often they’ll have great programs and activities for kids like running the bases in the 7th inning. We’ve been able to experience zoos all over the country. They still exist and when you find them in your travels make sure you stop in. Very cool experience. Yes, they have an entire theme park inside the mall. It’s always nice to have a run in with wildlife where you’re at a safe distance and you can enjoy them for a good amount of time. One of the best hikes in the world and should be on every adventurers bucket list. You know it’s cold when the waterfall freezes. We love getting to experience pools all over the country. The best thing to do in a random blizzard is jump in a hot tub. Yes, RVs can handle the cold. RVs come with the conveniences of home. Relax and enjoy vineyards in the middle of nowhere. Toy Haulers have made it easier than ever to hit your favorite ATV trails. Enjoy some quality time cooking with your family in scenic settings. Many Campgrounds will even offer free boat parking at the dock while you camp with them. A lot of people don’t realize that many timeshares and hotels in vacation destinations don’t allow pets. RVs allow you to bring them anywhere you want. Yellowstone is an RVers paradise. It offers such an up close experience with these phenomenons. Spring makes this country come alive. Meadows are filled with flowers, wildlife and bees. There’s nothing much better than building a roaring bonfire to stare at. Great spot for a picnic. It’s always fun to pick a ledge location like the people here. These beasts still roam the plains. Yellowstone is a great spot to stumble onto one relaxing in the field. All over the country you’ll find unique coffee shops as places to get some wake up juice and get connected. A lot of campgrounds offer horseback riding for their campers. This picture was taken when I sat down in total silence and did absolutely nothing. Incredible! It’s also in a Walmart Parking Lot overlooking the Colorado River. I mean, come on… We were able to Boondock a mile away from this amazing spot. Stopping at tiny town and conversing with the locals is one of our favorite things to do. So many great desert camping locations. Good ole Harold making sure he’s got the best looking lawn in the campground. He brings his mower with when he travels in his 5th wheel. There is a world of Boondocking that the average person has no idea exists. One of America’s favorite pastimes. The Thousand Trails RV Resort Membership has a hiking system at all their locations and it’s been incredible to see such variety. It’s always best to go with an experienced canoer so you can relax and do absolutely nothing. Cover ground fast and fun. Trust us, everyone is doing it. We’ve been blown away at the connectivity we’ve been able to capitalize on so we can enjoy incredible views as we work. When you’re Surfing in new areas it’s a big bonus to be able to connect with friendly locals. It’s a staple Amenity of the RV Community, you might as well get good at it. Hangout at the Pool All Day but Never get in the Water. So many great campgrounds providing so many great activities for their campers. When the waves are good, everybody should get a turn. Basically that means be standing under a tree totally clueless that there are tens of thousands of butterflies above you until someone points it out. They’re everywhere and they’re awesome. We saw this incredible place on National Geographic and noticed it was on our route up the West Coast. It does not get better than this to come and have a picnic or just hang out for a few hours. Absolute paradise in the middle of nowhere in Central California. You need to google image shark fin cove right now. Incredible Danish Community just outside of Santa Barbara California. Secretly, we bring the kids to the playground so we can play. These are Lion Hunting Dogs from South Africa that they race at a California Winery that’s next to an RV Resort. Dogs love a day at the lake too. This tower was built during WWII to ward off any invaders in Delaware. It could shoot miles out to sea. You’re able to walk up the winding stairs to the roof and get an incredible ocean view. The Mavericks Surf Spot had roughly 50 ft waves when we were there. Half Moon Bay is paradise. Seriously, paradise. Imagine going around to the coolest cities in the country and eating at the coolest spots. If you’ve never been in a high wind environment you don’t know what you’re missing. Alcatraz is run by the National Park service and the audio tour is recorded from the actual inmates and guards. Incredible experience. Do you really think Danielle would go off the grid? The RV has Netflix, Hulu, Youtube and we’re able to plug into all our favorite shows (Danielle’s favorites) wherever we go. Every day they have a Pool Tournament at this popular RV Resort. No cost, just show up and play. It’s a great way to make new friends (I want a rematch). Pump that iron while you’re camping at the RV Resort’s workout center. Great way to stay fit on the road. Did we mention RV Resorts have hot tubs with incredible views all over the country? Great blog post! Have been to some of those places, so many more to see! Totally agree Zion is amazing. Now you have me wanting an ATV – guess the Jeep will just have to do for now.